Wednesday 24th April 2019 - Geddington CC Under-15's First Game Of The Corby & District Youth Cricket League Season. Saturday 27th April 2019 - Geddington CC 1st & 2nd XI 2019 First Games Of The Northants Cricket League Season. Saturday 4th May 2019 - Geddington CC 3rd XI First Game Of The Northants Cricket League Season. Friday 10th May 2019 - Geddington CC All Starts For 5-8 Years Old Starts At Geddington CC. Saturday 11th May 2019 - Geddington CC 4th XI First Game Of The Northants Cricket League Season. Saturday 11th May 2019 - Geddington CC Bad Shirt Night At Geddington Cricket Club Pavilion. 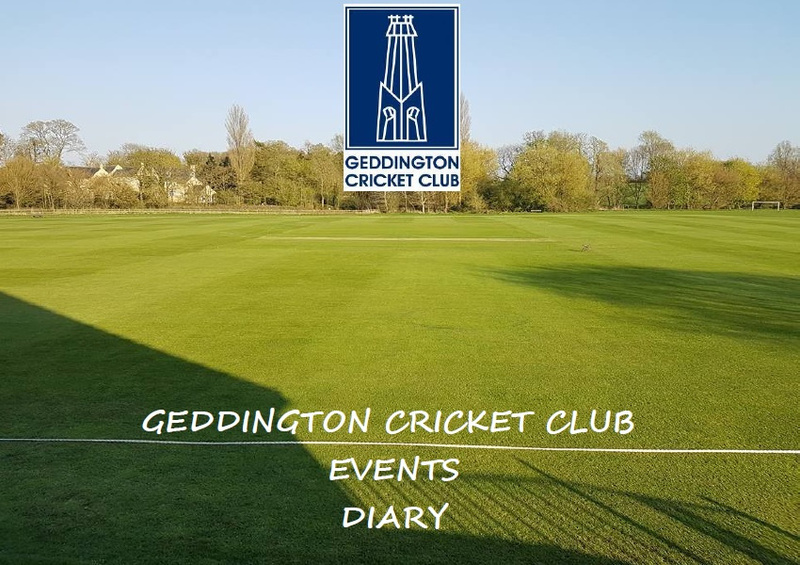 Friday 17th May 2019 - Geddington CC Race Night At Geddington Cricket Club Pavilion. Friday 5th July 2019 to Sunday 7th July 2019 - Beer Festival Weekend At Geddington CC. Wednesday 10th July 2019 - Northamptonshire Over 50's V Lincolnshire Over 50's At Geddington CC. Sunday 21st July 2019 - Bouncy Wouncy Family Fun Day At Geddington Cricket Club. Tuesday 30th July - Thursday 1st August 2019 - Northamptonshire Under-17's V Warwickshire Under-17's in a 3 day Under-17's Championship match at Geddington CC.